书籍简介: Since it was first published in 1988, Fundraising for Social Change has become one of the most widely used books on fundraising in the United States. Fundraising practitioners and activists rely on it for hands-on, specific, and accessible fundraising techniques, and it has become a required text in dozens of college courses around the country. This fifth edition offers the information that has made the book a classic: proven know-how on asking for money, planning and conducting major gifts campaigns, using direct mail effectively, and much more. The book has been significantly changed to include new technology―e-mail, online giving, and blogs―and contains expanded chapters on capital and endowment campaigns, how to feel comfortable asking for money, how to recruit a team of people to help with fundraising, and how to build meaningful relationships with donors. In addition, this essential resource contains new information on such timely topics as ethics, working across cultural lines, and how to create opportunities for fundraising more systematically and strategically. 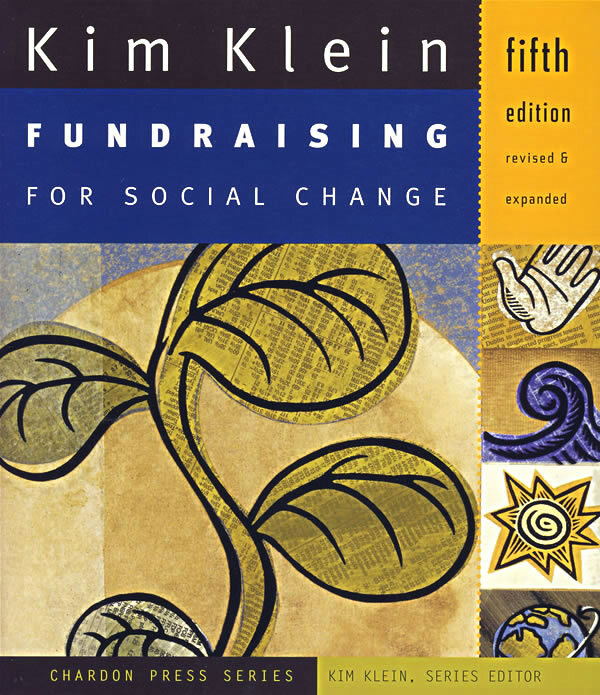 im Klein is widely regarded as one of the most important figures in the field of grassroots fundraising, both as a writer and a practitioner. In great demand as a speaker and presenter, she has provided training and consultation in all fifty states and twenty-one countries. Klein specializes in training nonprofit organizations working for social justice with budgets of less than $2,000,000 on how to build a broad base of individual donors. She began her fundraising career while studying to be a Methodist minister and working in one of the first domestic violence programs in California, La Casa de las Madres, in San Francisco. Since then, she has been development director, board member, and volunteer for numerous organizations working for social change. Klein founded the Grassroots Fundraising Journal in 1981 and is the author of Fundraising for the Long Haul, Fundraising in Times of Crisis, and Ask and You Shall Receive. She also edited Raise More Money: The Best of the Grassroots Fundraising Journal with her partner, Stephanie Roth. She lives in Berkeley, California.